On Friday, Ariel and I met three of my girlfriends and their daughters at the park to let the little girls play. 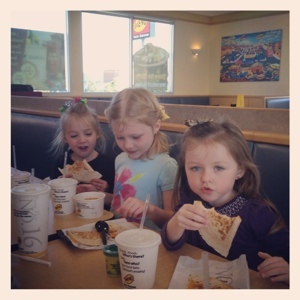 After about an hour of play, we decided to go to lunch at Taco Bueno. 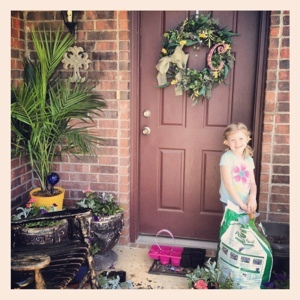 After lunch, Ariel and I went to Walmart and bought some flowers to go on our front porch. She was such a big help this year. 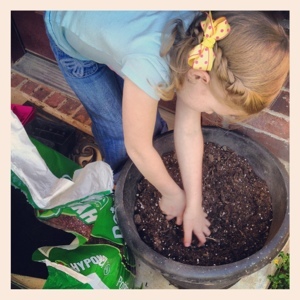 She helped me pick out the best bunch of flowers and tilled the dirt in each pot. She even scrubbed my chairs for me to get the pollen and dust off of them! 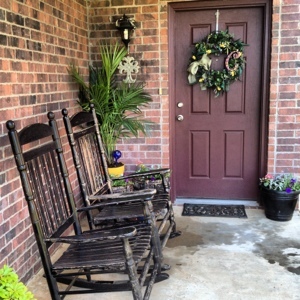 I just love having flowers on my front porch! Now, of I could only remember to water them :). 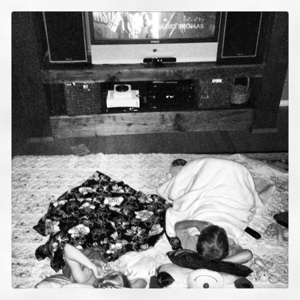 That night we had hamburgers on the grill for dinner and then we watched "The Muppets" together as a family!